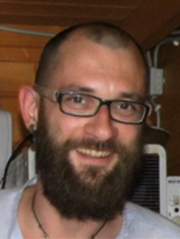 Heiko Pingel is a postdoc in the International Research Training School "StRATEGY" and member of the Geology Department at the University of Potsdam. After his diploma on the neotectonic landscape evolution of intermontane basins in NW Argentina, he received his doctorate for his work on mountain building and climate-system interactions in the southern central Andes. His research focuses on the palaeo-environmental reconstruction of intermontane basins using U-Pb geochronology, stable isotope and in situ cosmogenic nuclide geochemistry, sedimentology and paleo-landscape reconstructions with the aim of investigating the interactions between climate, tectonics and surface processes over the past 10-15 Myr.